People ask us often how we chose where to live in Spain. Our answer is not what you would expect. There’s plenty of things we discovered after we moved here that many of us don’t know to consider when investigating where to live in Spain. In general, the notion of living anywhere in Spain is romantic and appealing for foreigners, full of images of sangria and paella, beaches and flower-drenched European balconies. Don’t be alarmed – that does exist here, yet there’s a lot of places to choose from and important things about a location that you just can’t discover until you’re here (or know someone who’s already been living here, like us). 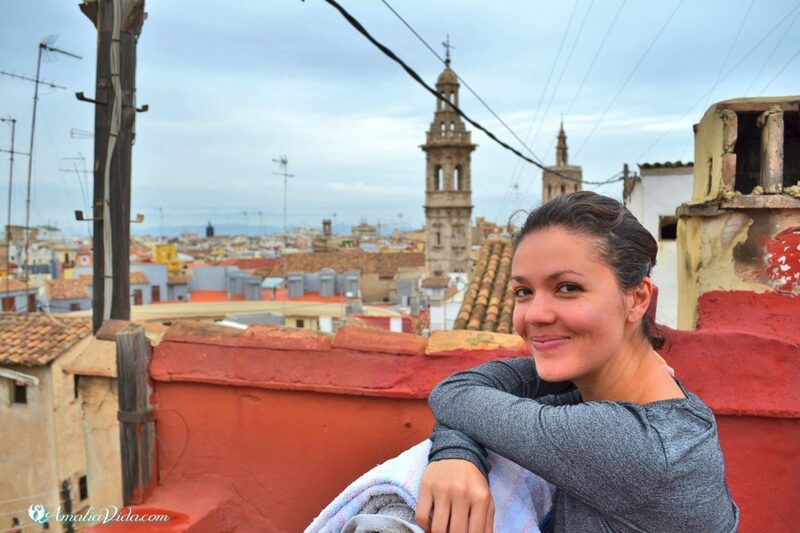 If you’re any bit curious about moving to Spain (and even for visiting this is helpful), let us share with you what we’ve learned first-hand so you can quickly and more easily feel at home here. Above Image – Rooftop of our first apartment in Valencia’s historic center. Where to Live in Spain? Know Yourself! This goes beyond ‘self-love’ stuff, although that’s super good too and you obviously already love yourself quite well if you’re coming to Spain! We’re talking about the practical task of prioritizing your preferences about what kind of place you want to live. There’s a lot of factors to consider and the bottom line is, you’ve got to know yourself; pay attention to your motivations and the things you really want. Some people think that because they’re moving to another country, they need to settle for discomforts and less-than-ideal situations. But we think that does not have to be the case. You’ll already have enough change going on with moving to a new place and new culture, so do what you can to create a comforting, secure, delightful home in Spain for yourself. We each had our own individual motivations. 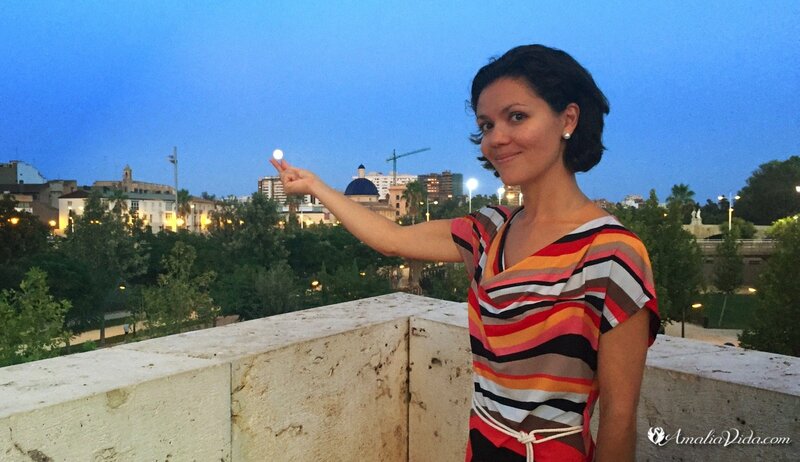 Amalia has dual nationality with Spain and the US, but has never lived full time in Spain. Her family history from Asturias, Spain, is a passion of hers and she feels connected to the country through her heritage. For Eric, the motivation is his love for travel and his dream to live abroad and spend more time on the Mediterranean Sea. Both of us had been to Spain before and since moving here, have naturally felt at home. 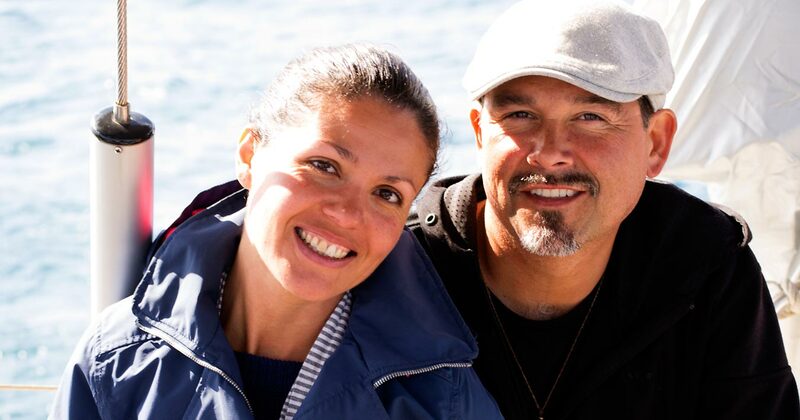 Our decision to first live in Valencia, Spain was driven by personal and lifestyle priorities and desires that we shared as a couple. Some may think that as a couple it’s more complicated, but it doesn’t have to be. Even as a single moving to Spain, think about how important it is for you that family and friends can conveniently visit. So for example, do you need to be close to a major airport or not? 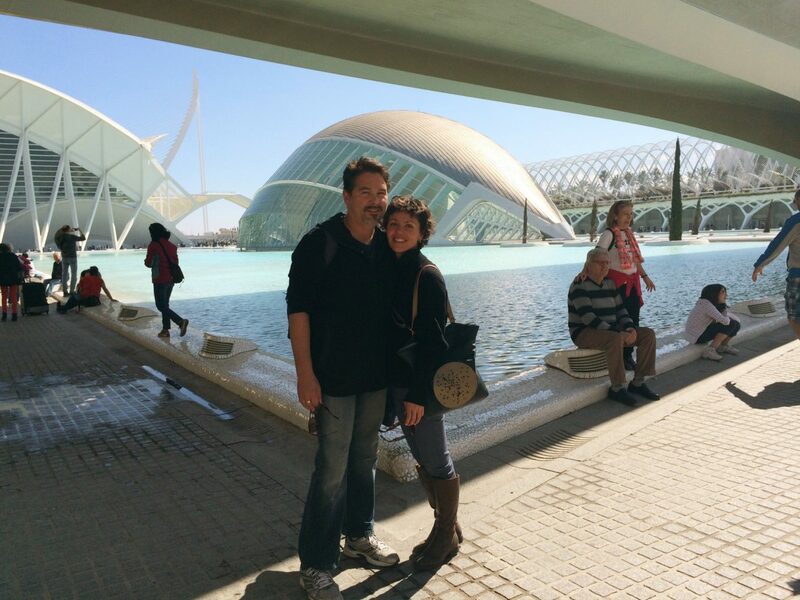 Neither one of us had ever visited Valencia and we liked the idea that we would first experience it together as a couple. Good to also note, we’re obviously the kind of people who are willing to move somewhere ‘site unseen’. But keep in mind, we were not buying a property as part of our move and we were open and able to move locations after several months. Here’s a simple list of what our priorities were. We encourage you to take time to make your own list as well. A warmer climate year round – no snow! To balance it all out, remember to be open. Moving to Spain, or living abroad in general, really teaches you a lot and can be a life changer. Heck, it should be! So realize that once you’re living here, where you choose to live and why, will evolve and change. Spain will certainly do that to you! Where to Live in Spain – Metropolitan, Rural, or In Between? 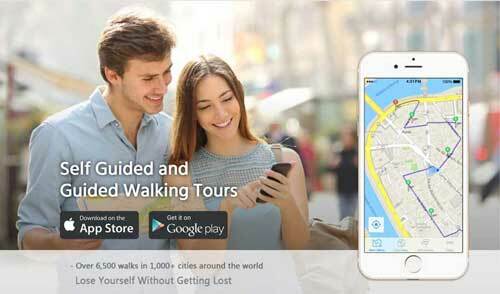 Do you like city living or being in the countryside? Prefer home developments in a suburb like in the US? Here in Spain, they’re called urbanizaciónes (urbanizations) and smaller ones can exist within towns and not just on the outskirts. 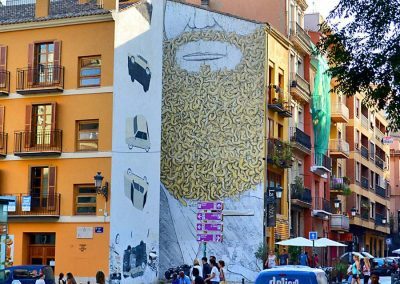 In Spain’s four largest cities – Madrid, Barcelona, Valencia, and Seville (within that order) – you have your major historic centers which can spread out to include various neighborhoods (barrios) and even more varied architecture. These metropolitan areas also tend to have ‘suburban-like’ sprawl around the outskirts, which we personally think are less appealing, yet can be more affordable. City living here can be much like city living in the US, but with better public transportation. We discovered living in Valencia though that this can mean more buses which means more exhaust and air pollution; a common issue in cities world-wide. Our favorite thing about the cities in Spain is that they don’t only have a vast amount of beautiful parks, but also quaint, historic squares and plazas. In Valencia we love the Turia Park and lesser-known plazas like Plaza del Carmen and Plaza del San Lorent (Placa del Carme and Placa de Sant Llorenc in Valenciana language). And in Madrid, is our favorite park in Spain, el Parque de el Retiro. 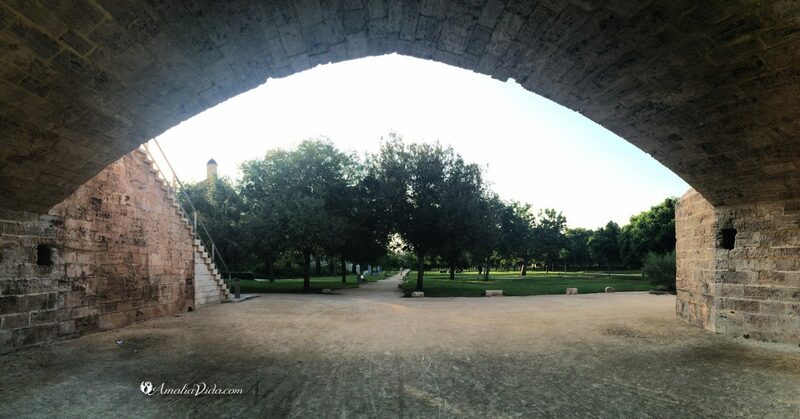 Above Image – Hidden bridges inMadrid’s El Parque Retiro. Above Image – Sunset inland of the town of Denia, south of Valencia. If you love the countryside, then you’ll have plenty of space to pick from. Spain’s rural areas are extensive and magically beautiful. In Spanish, they refer to the countryside as ‘rural‘ and have terms like ‘casas rurales‘, referring to country houses that are usually vacation rentals. For us, these areas differ from the countryside in the US because Spain as a country is so much older, leaving ancient ruins and historical charm even in the smallest of villages and among nature. In these areas today, there can be good utilities and services, but prepare yourself for possible old-world living and amenities. We’re talking donkey-drawn carts on the road and people riding on horseback through town as a regular way of life. It can also tend be very quiet, with few public activities or people to engage with. Keep in mind that many of the small, rural villages in Spain today are becoming ghost towns. There are many that have already been abandoned because the younger generations move to the cities for education and work and the older generations pass away. Because of this happening, there are actually communities in Spain that will give incentives and support for coming to live in their village or, more commonly, even put an entire village up for sale. Something of an opportunity to consider. If you’re concerned about access to internet, you’ll be happy to hear that even many remote and small villages can get good internet now. 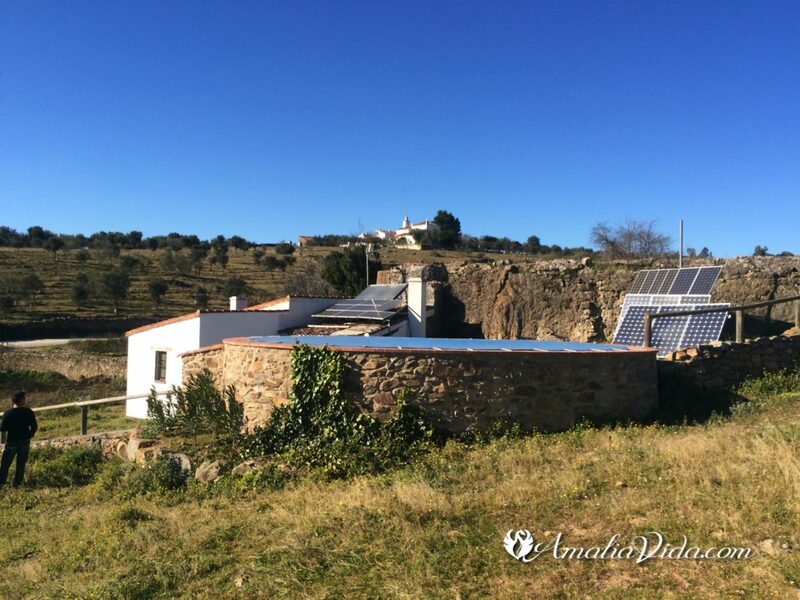 Amalia’s mother lives in the very small village of Higuera la Real in Extremadura and even in the very old renovated home they have, they have great WiFi. The thing to keep in mind is whether or not you have to set up the internet provider yourself or if a place already comes with it connected. This applies just as much to living in the city, sometimes more so, because it’s dealing with providers that can be a hassle. We feel the lay of the land here is slightly different than in the US, where the ‘in between’ are the suburbs and we sure didn’t want that. But we discovered that here in Spain we love the towns that are not as big as a city or as small as the villages can be. And now we can speak from experience with them all. We lived in downtown Denver in the US and thought that we would always want to live in a bustling city center. Well, Spain changed that for us. 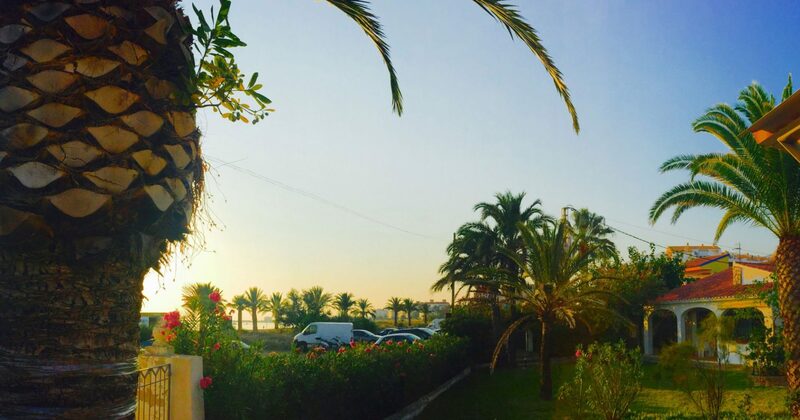 Within our first year here, we lived in the historic center of the city of Valencia, then made our way just south to live for 6 months right on a beach in the tiny, tiny village of Xeraco, and have now made our way to the place we know is our Spain homebase – Denia. All in all, Valencia and the region as a whole was a great place to start, because as if today we’re still only about a 2-hour drive from the city. Where to Live in Spain? Architecture and Housing. What’s great about Spain is that cities have amazingly historic centers with beautiful, old-world architecture. Many times, even ancient ruins have been preserved with functional display among everyday residences, commercial and government buildings. Even small towns and villages are similar in this. So either way you choose regarding city or countryside, you have tons of options to be around historic architecture. Which is typically what a lot of people want when moving to Spain and others parts of Europe. If you want a blend of both beautifully renovated historic architecture and modern design, it’s more common and easier to find in the cities. Although, we have seen some in those ‘in between’ towns we referred to. If you’re looking to build your home here, then you can of course have both in either place. Countryside areas can be where you turn a mill or fortress outpost several hundred years old, into your beautifully renovated home-sweet-home. BUT! Be aware that in the cities, as well as smaller towns and villages, there are these apartment buildings and developments dispersed even among historic areas and architecture. They’re those monstrosities of fading, random colors and design where you just wonder to yourself – What were they thinking when they built these? Were they on crack? – and it is obvious that there wasn’t much, if any, planning regulations over the decades, nor does there continue to be for the most part. Sadly enough, this is rampant along the Mediterranean Coast of Spain and especially the further south one goes into the Costa del Sol. Above Image – The Spanish-tiled casita with arches was one of our recent homes on the beach for 6 months in Playa de Xeraco. Notice the style of the buildings all around it though. The 60’s and 70’s seems to have given rise to these and they vary from high-rise to low-rise squares, packing in apartments that actually may be referred to some here as ‘modern’ (so be weary when someone in Spain claims that). While some nowadays have been updated nicely, they can tend to be poorly constructed and ill-equipped. Make sure when scoping out a place before arriving in Spain, to pay attention to the interior and exterior pictures and the location, and the building as a whole if it’s an apartment. While many may also say that the ‘newer’ style buildings are more affordable, we have actually found that many times they are not. It depends on the location and the time of year that you get in on a lease. We lived in a great apartment in Valencia’s historic center that had an amazing location, was in a historic building, and was tastefully updated with a true modern kitchen and bathroom. It had charming old-world features like the balconies and bay windows, yet newer dark wood floors and well-working air conditioning. Not only was it hundreds of dollars less per month than our stand alone house in downtown Denver, but we got a great deal and price simply because we asked the owner and were looking to rent for longer than 1 month. From there, our other homes here have continued to be hundreds cheaper per month than in the US, including less expensive utilities, and the homes have been charming and well-updated. Our home now is ideal; a true Spanish casita, older but wonderfully renovated and updated. It has the red Spanish tiled roof, white stucco and arches, two outdoor terraces with wooden beam ceilings and yet a modern kitchen, large windows with screens and air conditioning and heating. One of our American friends living in Catalunya area (who also moved to Spain from Denver), put it really well. She says she didn’t come here to live in a ‘modern’ place that is newer and just like apartments in the US. Which leads us to our next consideration! Above Image – Our first flat in Valencia’s historic center. We found and processed our first flat in Valencia on AirBnB and simply asked our owners about longer accommodations. Worked great! Above Image – Our first Spanish Casita in Denia. Where to Live in Spain – Tourist Central, Like a Local, or Live-In Visitor? This aspect of where to live in Spain is especially based on personal preference and lifestyle. It’s the same with traveling and visiting a place – do you want to travel as a tourist, immerse yourself in the local culture or bring your home country with you and still eat and do the same things here you would there? Maybe it’s a blend of all three? The funny thing is, there will be times when it is. 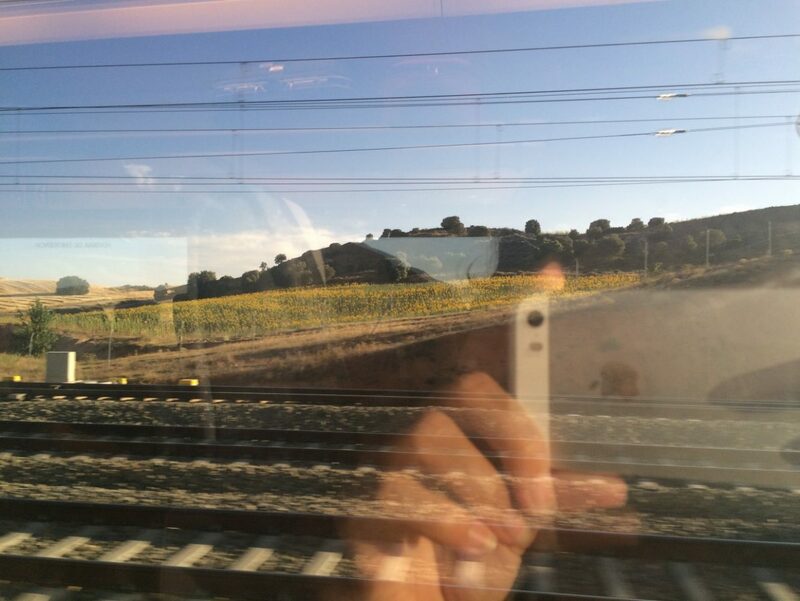 The one we think people can end up in when moving to Spain, without meaning to or wanting to, is the ‘Tourist Central’, usually when living in a city. Go to a smaller town or village and it’s pretty clear and expected that you’ll be living like a local. Yet within the cities, the historic centers can be tourist central. It’s good to be aware of this because it means more crowds and traffic, certainly more noise (especially on the numerous holidays and festivals here), and higher costs of living and touristy shops and restaurants. It simply is that way. Now that we’ve been to Madrid for numerous visits, and become friends with locals who live and have businesses there, we notice the difference in these areas and can see that there are gorgeous, historic center neighborhoods that have that old-world charm and architecture, yet are distinctly and wonderfully inhabited by more locals than tourists. The Conde Duque neighborhood in Madridis a great example of a more local experience, whereas nearby our beloved Barrio de Las Letras is more frequented by tourists. Ruzafa District in Valencia is great for living like a local! Above Image – The Turia Park in Valencia. Then there’s the ‘Live-In Visitor’. If this is you, you want to transplant life as you know it in your original country to Spain, with whatever additional benefits you’re coming here for. Maybe it’s the job security or pay raise for being transferred to work in Spain or you’re just so tired of the lousy weather in your home country that you desperately want more sunshine, as we see commonly (and understandably) among many British expats here. An urbanización (suburb or housing community) may be the ideal place for you here. Particular towns along the southern coast of Spain, known as the Costa del Sol, have loads of these. Some of the most popular are the towns of Benidorm, Marbella and, for a larger city as an option, Malagaand its surrounding areas. Benidorm is especially known for having probably more British pubs serving British food than they have Spanish restaurants. English will be just as heard and spoken as Spanish, possibly more so especially in the summer high season, and your neighbors are less likely to be Spanish, so your immersion into the local culture will be limited to what you seek out beyond your neighborhood. Overall, it will be just like where you came from, to the extent that you want. Keep in mind that they’re not all like this – there are urbanizaciónes that maintain an authentic Spanish community and style. If it sounds like we’re not keen on this particular approach to living in Spain, it’s because we’re not. But that’s our preference and we can understand and see why others would prefer it. We speak to it here so that people can be aware of the different options and learn that areas can be like this. Because for those who don’t want to be a live-in visitor, it can be easy to ‘accidentally’ end up starting in a place like this if you’re arranging your long-term housing before you come over. Where to Live in Spain? You Can’t Go Wrong! There are so many other factors to consider, but if we tried to cover them all we’d have you here for pages and hours more. There’s everything from living in Spain with children to retiring here, our best-kept secrets of towns and areas to consider, as well as working from here. For the areas we’re not experienced and specialized in, we’ll bring those who are and feature great interviews along with awesome resources. A head start on questions for determining where to live in Spain. What’s my annual and monthly budget (remember to factor in the latest currency conversion rate)? Am I working from home/remotely or from an office? Will I need a car and do I want to afford a parking space? How much do I want to rely on public transportation? Do I want to live in a house, duplex or townhome, or an apartment? Is it important for me to have an elevator or lift (ascensor or elevador) in my building? Another one people forget, especially when traveling, because a lot of the older residential buildings in Spain do not have an elevator. Do I want a place to already come with WiFi set up or am I willing to have it connected myself? How big of a home do I want? How important is outdoor living space for me? Do I want a yard, balcony or terrace? What kind of neighborhood do I want to be in? Historic architecture, modern, near a park or a plaza? How close do I want to conveniences like supermarkets, pharmacies, banks and restaurants to be? How much community and social activity do I want? What kind of weather do I want to live with? Do I want to live by the sea, in the mountains, or near both? Fortunately in Spain, there’s tons of great options for living near both! What kind of noise levels am I willing to live with? This is a really good question to ask because Spain’s cities have some of the loudest noise levels in the world! Very interesting Thank you so much my wife and I are going to move out to Spain in two or three years, we keep finding wonderful property’s and then looking at the area, I would like to live in the country side but my wife like the coast so we have a problem. You’re welcome John! We’re so glad to be helpful. You know, the Costa Blanca south of Valencia has a lot of great areas that are countryside but very close to the sea. The inland areas here are beautiful. It would be an ideal place for a ‘compromise’ and having the best of both worlds actually. Let us know if you have any other questions we can help with and enjoy your move to Spain! Thank you so much Lionel. We’re so glad that our content is bringing value to people like you. 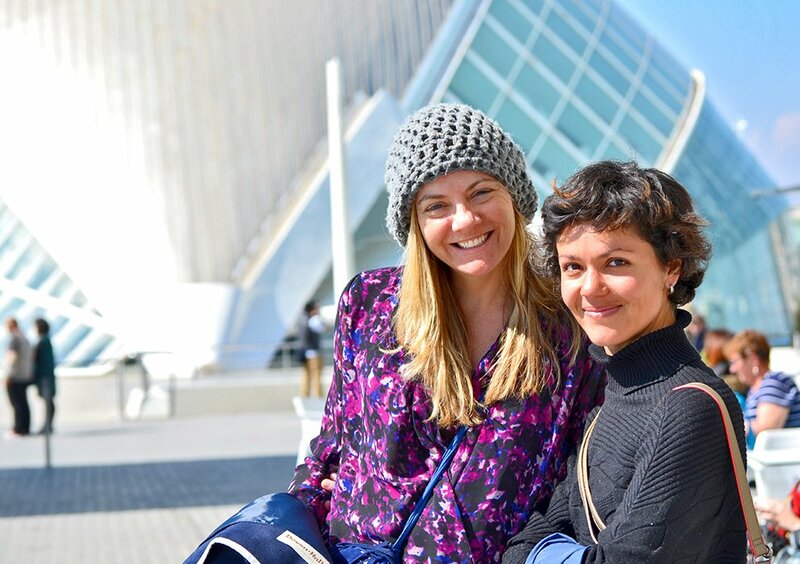 It’s also wonderful to connect with others who can benefit from us sharing about our experiences moving to and living in Spain. Thanks for the encouraging feedback and letting us know how you found us – that is always helpful! Lastly, you touched on a great point, that a lot of information out there is not geared towards things that apply to Americans. 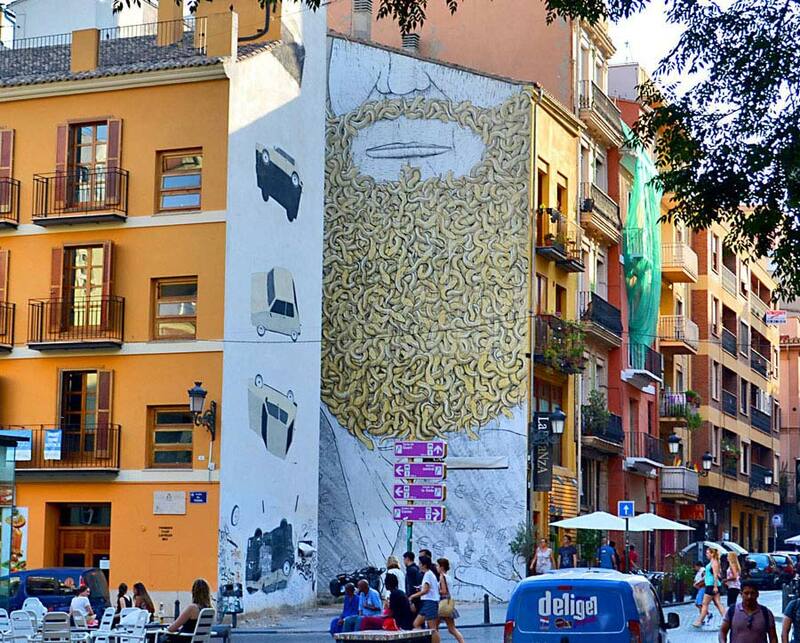 We are all truly on the leading edge of that changing now, as more Americans are considering living in Spain or other parts of Europe, and those who already are, are sharing about it. It’s an exciting time! Look forward to seeing you here on our site, and in Denia soon!